SCTCC offers students 15 hours per year of free online, on-demand tutoring, through Tutor.com. Tutors are always available, even late at night when your instructor may not be. Stuck on a problem? Want someone to review your paper? This tutoring service is easy to use and can be accessed on any device that connects to the internet. Is tutoring available for my classes? How often can I use tutor.com? Each student has 15 hours of online tutoring they can use every academic year. 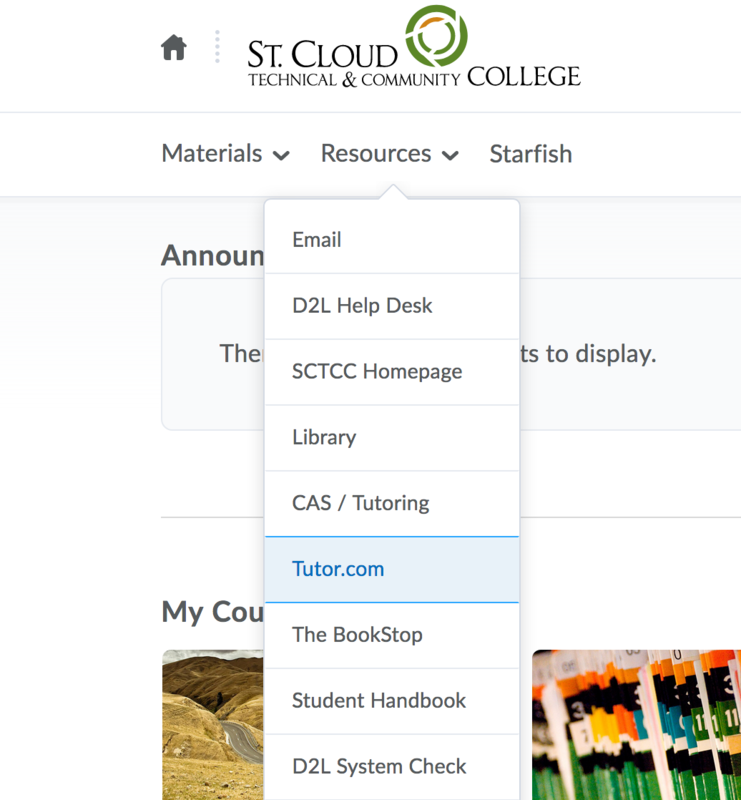 Sign into D2L for access to Tutor.com. The link can be found under Resources or your online course page. Please have your question for your tutor ready before you connect. Enter your question and any important notes in the pre-session survey – this will save you time while you are in your tutoring session. Remember to indicate if you’d like to connect with your tutor via a voice session! You can submit a science lab report directly to the CAS! Just click the button and you'll be taken to a form where you can submit your paper. A CAS tutor will follow-up with you. You can submit a math question directly to the CAS! Virtual tutoring with a CAS tutor takes place through a live, real-time session using an online communication technology. This technology has the ability to share documents both the student and the tutor can see and interact with. Technology requirements include a reliable internet connection and a sound-enabled computer with a microphone.